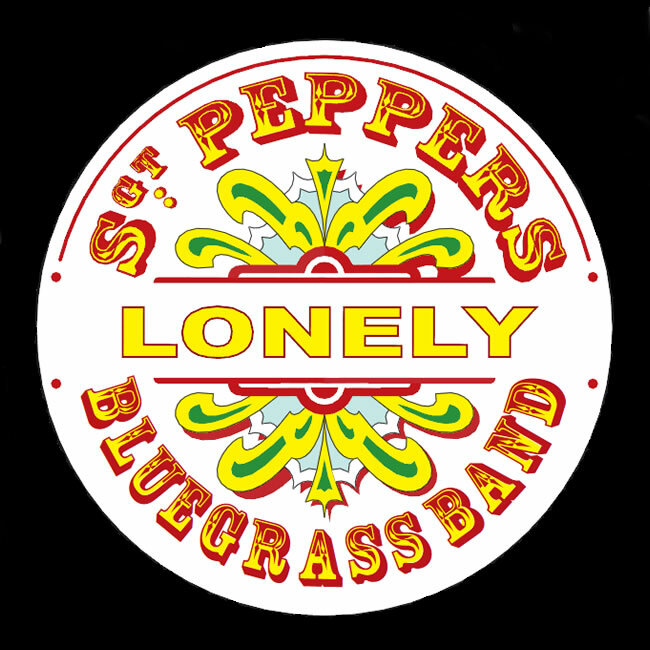 SARGENT PEPPERS LONELY BLUEGRASS BAND! All Beatles. All Acoustic. All Awesome!! General Assigned Seating - SGT. PEPPERS LONELY BLUEGRASS BAND! Tickets $26 at the gate. General Admission Ticket for SGT. PEPPERS LONELY BLUEGRASS BAND! March 8th 2019. Limited Preferred Assigned Seating - SGT. PEPPERS LONELY BLUEGRASS BAND! Preferred seating in the great room at surfboard tables NOT in front of the stage, is $29.00. Limited VIP Assigned Seating - SGT. PEPPERS LONELY BLUEGRASS BAND! Tickets $39 at the gate. Limited VIP tickets will also be available and include up front reserved seats in front of or beside the stage (best available at purchase time), table snacks, and a drink ticket. VIP tickets are very limited and usually sell out quickly. A single show VIP ticket is $39.00, and are on a first come first serve basis. WHEN : gates 5:30pm - opener 5:45-6:45, show 7pm . Food available for purchase before the show. Bands have been covering the Beatles for decades, but NONE like Sgt. Peppers Lonely Bluegrass Band! They create a new sound from the greatest music ever written, infusing the Fab Four's classics with acoustic bluegrass, jazz and classic twists. A unique and satisfying Beatle cocktail! Dave Walser and his four member band come together for new and innovative takes of songs like Eleanor Rigby, Come Together and Blackbird. You've never heard the Beatles like this and will not want to miss it! Gates open at 5:30pm with food available until 7:00pm featuring Taco Trap Food Truck. Food is not included in the ticket price. Opening music by local favorites Hairpeace! All our concerts are rain or shine and if there is inclement weather the show may be delayed, but not canceled. If that is the case, there will be no refunds for delayed shows. Although it has never happened and we do not expect it to, a canceled show however would be refunded. For those who will be coming from out of town, our Host Hotel is the Holiday Inn Express West in Fort Pierce, conveniently located between I-95 and Florida Turnpike exits in Ft Pierce at 7151 Okeechobee Rd, Fort Pierce, FL 34945. It is only 8 minutes from the winery and as our Host Hotel partner they will be offering significant discounts to customers who mention Summer Crush Winery when making their reservations. Reservations can be made by calling 772 464 5000. If you have a fully contained RV, you can stay with us by joining Harvest Hosts (www.harvesthosts.com), a great program that allows you to stay free at wineries and farms all over the country. We will have limited spaces so reserve yours early. Gordito $8.50 - Choice of meat (chicken, steak, pork) loaded burrito with refried beans, grilled onions, queso fresco, pico de gallo, rice and beans. Along with the usual Summer Crush munchies like Old Florida chips with Summer Crush Salsa's, Macy's smoked fish dip with crackers, and a collection of products from Boar's Head including: Salami & Provolone Slices, Sopressota, Hummus, creamy Havarti, and Vermont cheddar.